Tom Hanks captains Clint Eastwood's uneven but inspiring true-life tale. (SPOT.ph) On January 15, 2009, Captain Chesley "Sully" Sullenberger force-landed his plane safely into the Hudson River, saving the lives of 150 passengers and five crew members including himself. It was big international news, and Sully was hailed a hero. So it was only a matter of time before this miraculous and heroic moment in time was given the Hollywood treatment. Starring Tom Hanks as Captain Sully, and directed by the famed actor-director Clint Eastwood, Sully is a celebration of human reliability and good ol' heroism. Despite Sully's heroism, he and his co-captain Jeff Skiles (a solid Aaron Eckhart) are being investigated by the National Transporation Safety Board (NTSB). The NTSB claim that computer simulations say that Sully could have flown the plane back to the airport instead of crashing it into the river, thus questioning the captain's 40+ years of experience and whether he put his passengers' lives in danger. As the film points out numerous times, no jet plane has ever landed on water and saved all lives on board nor was it even a safe move. Sully, however, along with Skiles and his fellow supporters including his wife (a lovely Laura Linney), knows that what he did was the right thing and defends himself. The entire "Miracle on the Hudson" only takes place within six minutes, from the moment the plane takes off to when it lands. How much can you stretch those six minutes? A lot, apparently. Eastwood retells that fateful day several times through different points of view, including the pilots, the passengers, the air traffic controllers, the ferry captains, coast guards, first responders, and even the residents of New York and New Jersey watching the plane crash. 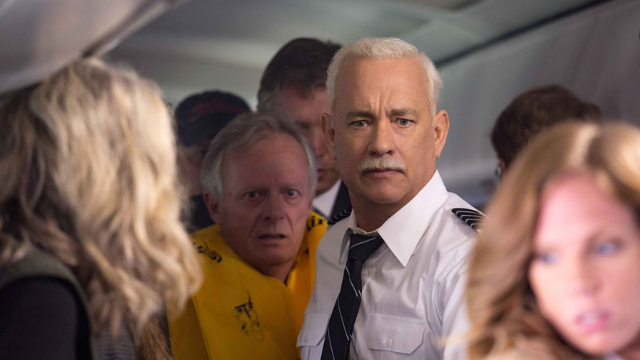 Even while running a brisk 96 minutes, Sully just showcases the same event multiple times—but it's actually these moments that the film works best. The film presents a clever narrative wherein the actual plane crash unfolds in flashbacks, with present-day scenes set during the investigation. Unfortunately, the court and boardroom scenes just don't have enough in them to be exciting or surprising. It's really the different ways Eastwood and writer Todd Komarnicki depict the crash that makes this film worth seeing. Tight and smartly edited, knowing the ending doesn't hinder the fear and thrill audiences will have. Eastwood continues to be a clean, straightforward, unflashy director, and that works incredibly well here. Besides the well-executed plane sequences, another commendable part of the film is its lead star. 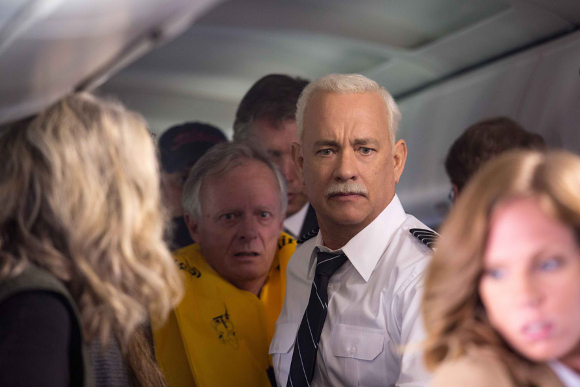 Hanks, who has always been a dependable actor, has one of his best performances in recent years as the confident yet humble Captain Sully who just seems so confused about his sudden fame and why he's being investigated. He is sure to make some noise during awards season with his affectingly calm and collected performance. The rest of the cast, which includes the likes of Anna Gunn and Mike O'Malley, don't really have much to do but round out a solid supporting cast. At its most effective, Sully is a celebration of heroism—from its titular character down to everyone that had a hand in saving the 155 people that day. There is also a lot to be said about human reliance and that computers and calculations can only do so much, but at the end of the day, Eastwood and co. just want to shine a light on the non-cape wearing heroes America has to offer, and that might be what the world needs right now. Sully is now showing in theaters. 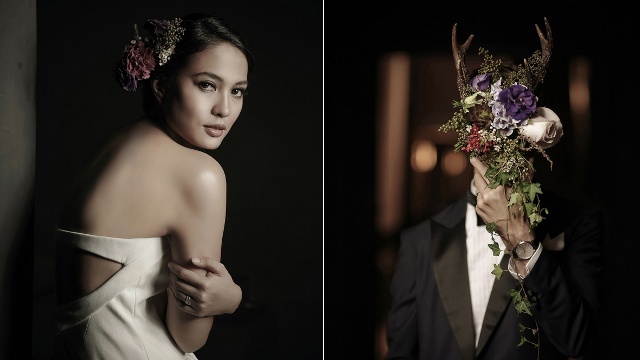 Photos courtesy of Warner Bros. Pictures.